Andrew Jackson was so strong-willed that his enemies called him King Andrew I, portraying him as a tyrannical ruler who abused presidential powers and trampled on the constitution. 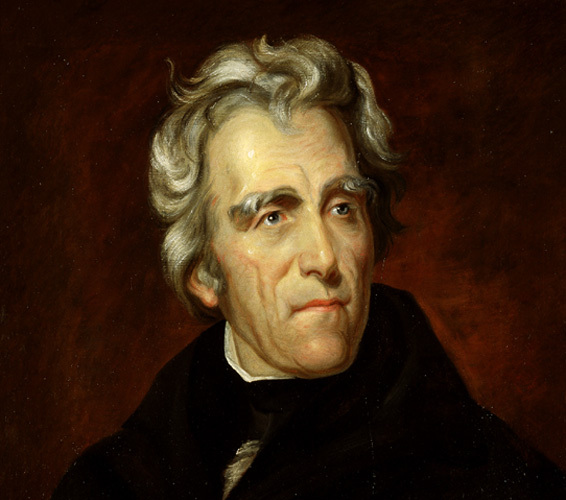 During his two terms of office, Jackson vetoed the recharter of the Second Bank of the United States, signed the “Tariff of Abominations” which led to the Nullification Crisis and ignored an important Supreme Court decision protecting Native American rights. Popular in the south throughout the nineteenth century, Benne Wafers were another Jackson family favorite. Today, these delightfully light, crisp, paper-thin cookies can still be found in bakeries and candy shops throughout the south. Preheat oven to 325º F. Cover cookie sheet with parchment paper or lightly grease it. In a heavy skillet over medium heat, toast the sesame seeds until they are golden brown, about 4 minutes. In a medium bowl, beat the brown sugar and butter together until fluffy, about 3 minutes. Beat in the egg. In a separate bowl, whisk together the flour, salt, and baking powder, then add to the butter, sugar and egg mixture and mix until well-combined. Stir in the sesame seeds and vanilla. Drop by teaspoonful onto prepared cookie sheet about 3 inches apart. Bake for 10 minutes, or until the edges are lightly browned. Let cool for a few minutes and then transfer to a rack to continue cooling. Credit: Jackson in 1824, painting by Thomas Sully.